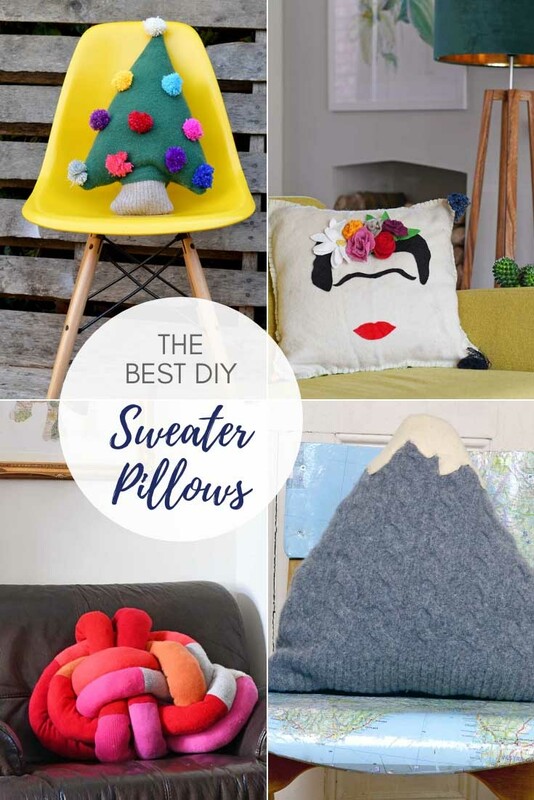 Sweater Pillows: Old wool sweaters are great for crafting as they can easily be felted and felted wool is perfect for transforming into lovely soft cozy pillows (cushions). If you are a lazy sewer like me then felt is the perfect fabric for you. Unlike other fabric, felt doesn’t fray which is great as there is no need for seams and the fabric can easily be glued. It is also a dream to hand sew. Felting sweaters are ridiculously simple and I do it all the time mostly by accident. Like when I mistakenly put my (often favourite) sweater in a hot wash and it shrinks to a toddler size. As everyone else in my household (except me thankfully), are over 6 foot tall these felted sweaters end up in my crafting pile. If you want to deliberately felt an old wool sweater there are more details here. However, if the wool sweater you are using is machine knitted rather than hand-knitted there may be no need to felt the sweater first. As long as the sweater doesn’t unravel when cut. 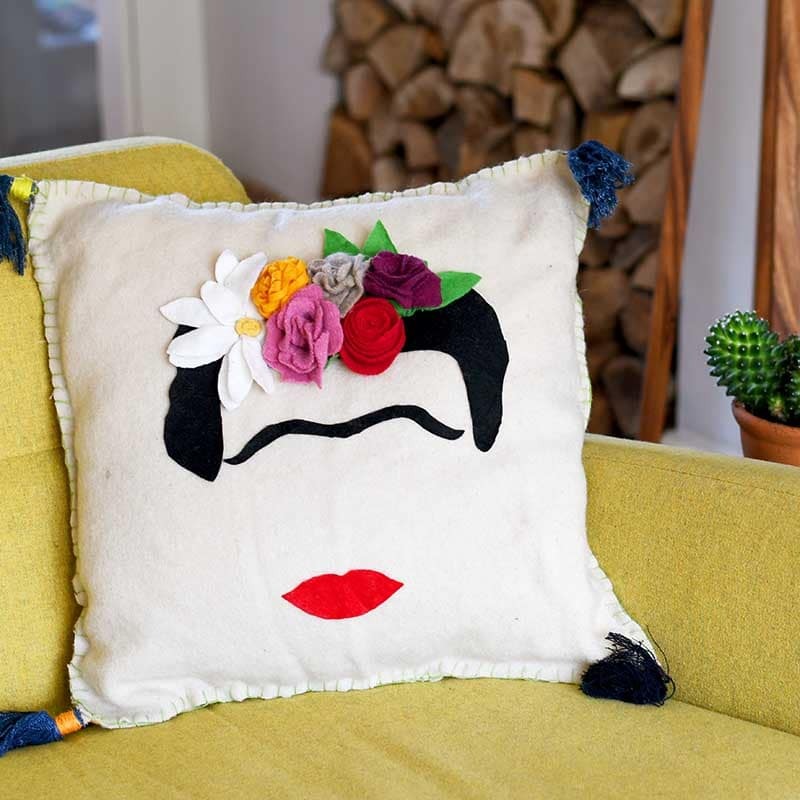 I have compiled my favourite upcycled sweater pillows. As a child, I lived on the top of a mountain (all be it a small one). However now I probably live the flattest area of the UK. I really miss the mountains. 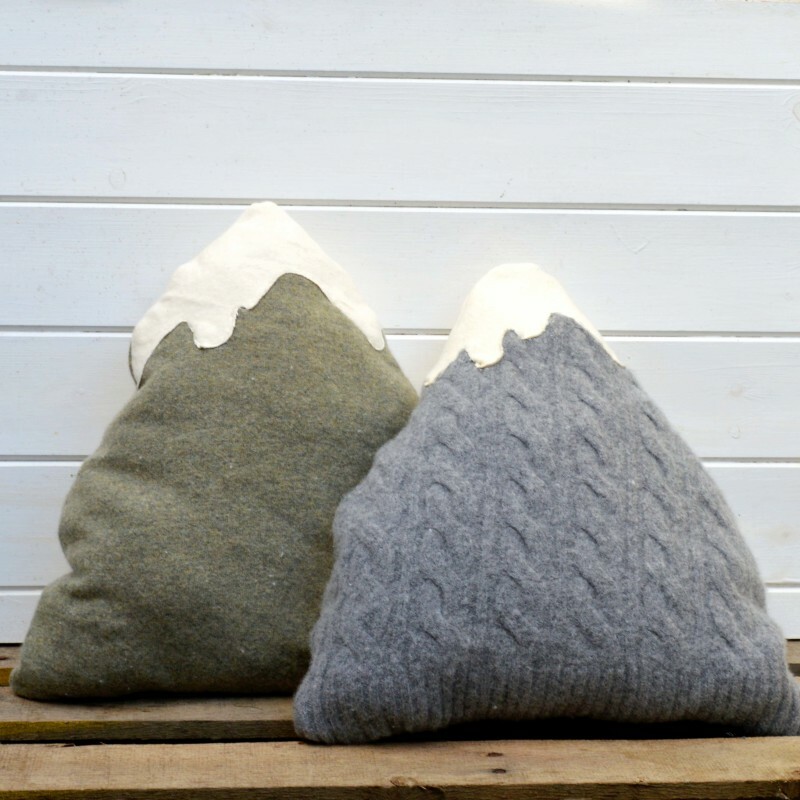 In homage to my love of the mountains, I made these cute mountain cushions. I love these chunky sweater pillows, the button detailing adds interest and the pocket can be used to hold the remote. 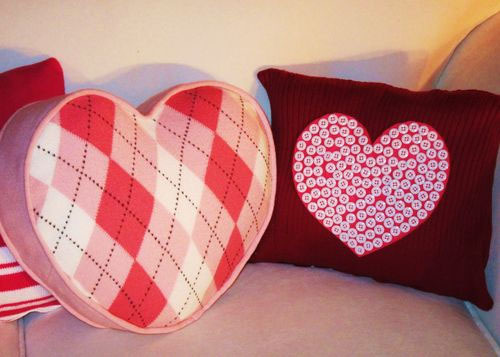 Nevermind Valentine’s day these pillows will look great all year round. I especially love the heart shaped pink pringle sweater. 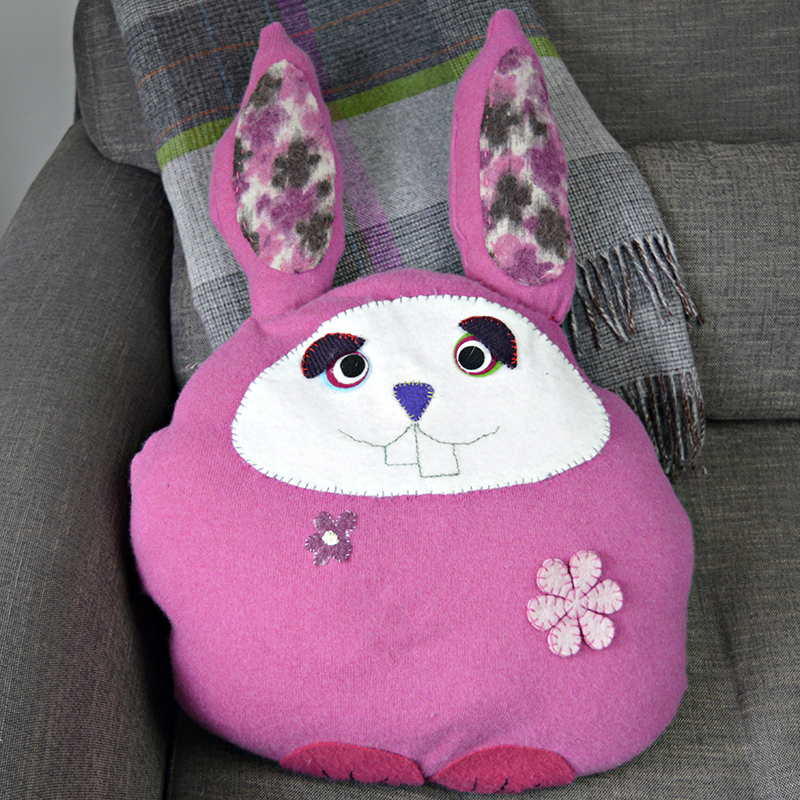 Another holiday themed pillow idea are these Easter bunnies to add a bit of fun to your home decor. This sweater pillow has definately got that Hygge cozy thing going on, not just because it’s on a Danish website. The muted greys and neutrals give it a definite Scandi vibe. 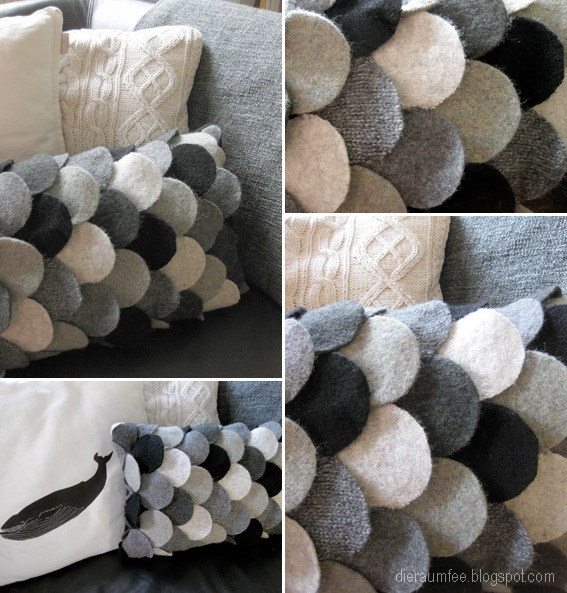 If you don’t have a sweater big enough to make a pillow this would be a great one to do as you can make it with all your felted wool scraps. Another one of mine, this time inspired by the great iconic Mexican artist Frida Kahlo. The gorgeous felt flowers are made from the felted sweater scraps of other upcycled wool projects. The tassels are even made out of repurposed old jeans. 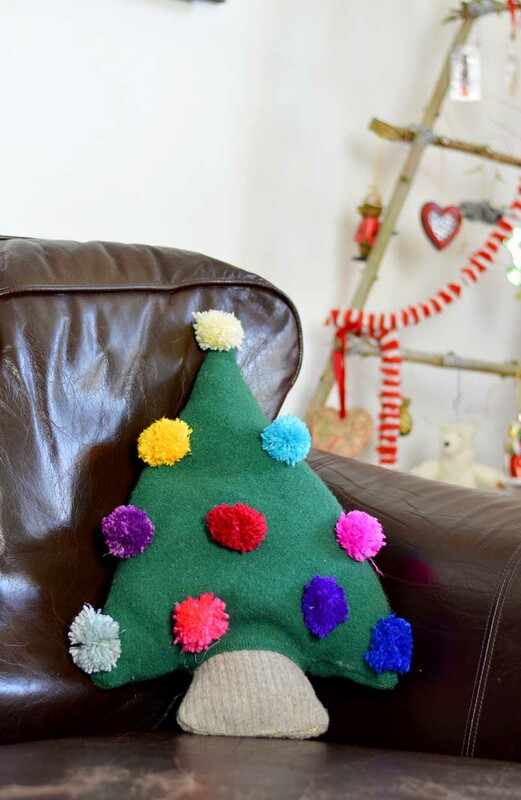 This is a fun festive sweater pillow for the Christmas season. This knot pillow was made from the sleeves of old wool sweaters left over from my felt rug made with recycled sweaters. 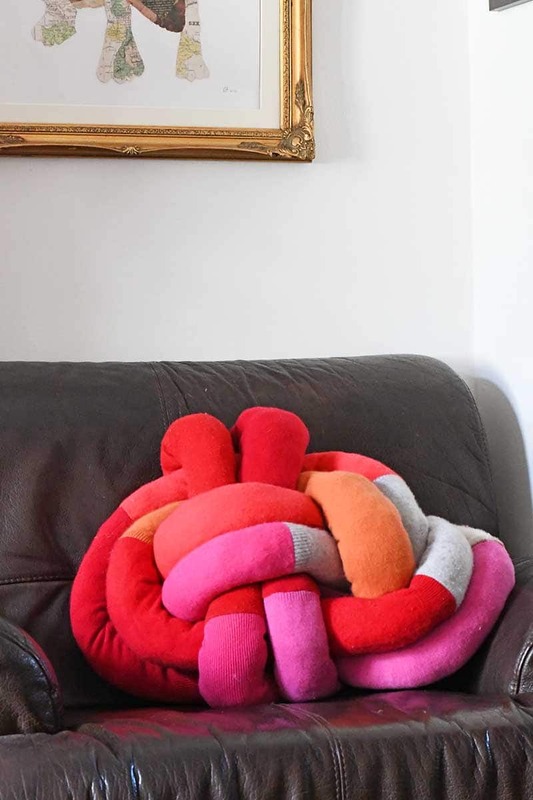 You can have a bit of fun and try out several different knots with this pillow. Don’t forget to hang on to your old wool sweaters to turn into an amazing pillow. I also think ugly Christmas sweaters make for great Christmas pillows. 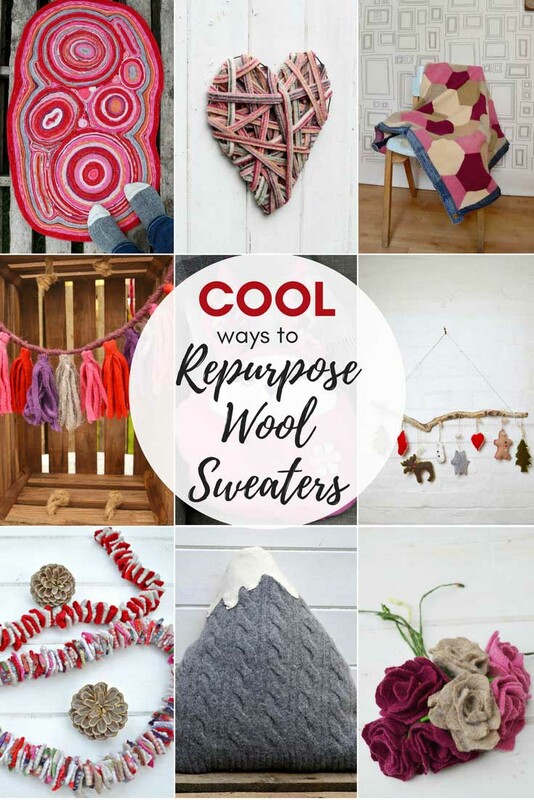 There are so many more things you can make for the home out of old sweaters such as, a felt rug, sweater upcycled Christmas ornaments, a patchwork sweater blanket, and even a repurposed felt succulent garden. Check out these and many more upcycled sweater crafts here. Thank you, your cloud pillows look great. Claire, this round up of sweater pillows is great! They’re all so creatively made! I’m lucky in that I have a steady supply of jumpers for projects, my mum and aunt keep on accidently shrinking them in the wash. These are super cute! What a fun idea! Thanks for sharing with us over at Funtastic Friday! These are adorable~ Love those mountains & the fish scale one! Pinned! Thanks for linking up at #MerryMonday! Thank you Kim, I think I’m going to give the fish scale one a go. What a great collection of pillows, Claire. Thanks for sharing @Vintage Charm! I love the bunny and the heart! Thanks for sharing on the Pleasures of the NW’s DIY party! Thank you, those too are very seasonal Valentine’s and Easter. Thank you, the last one is very cool! OMG! What wonderful ideas, I love them all! My favorite is the mountain pillow. So creative! Thank you so much for sharing! Thank you so much, the Mountain pillows are my favourite too! These are great ideas. Pinned! Thank you for sharing with us at #HomeMattersParty . We would love to see you again next week. Thank you! I’ll be there next week. The fish scale one is my favorite, but they are all fun! Thanks for sharing on the Waste Less Wednesday Blog Hop! Such cute sweaters! I have a cardigan of my grandfather’s that I try to wear but really it has never fit that well. This would be the perfect solution. Pinned! Thank you so much, you should make a pillow out of it for sure. 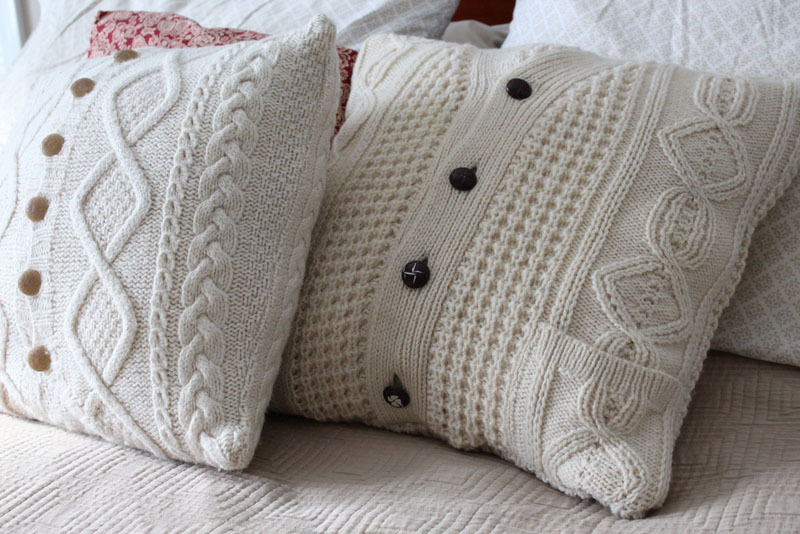 I have so many favorite old sweaters that I want to sew into pillows! I love this post, now I’m inspired! So much beautiful inspiration. Visiting from the Vintage Charm Link Party. I have never heard of felting pillows. Love the valentine one so much. Also a big fan of the button down with the pocket. Good stuff! Thank you, old wool sweaters are great for felting. Love the mountain pillows! Also love the arran cable jumper ones, wishing now that I’d kept the cardies Mum made me when I was little! Thank you, I hang on to all the families woolen jumpers now just in case. Thank you, for a great tutorial. I don’t think there is anything cozier than a sweater pillow. Thanks for sharing such great inspiration. Thank you, especially if they are made from an old lambswool or cashmere jumper. Thank you, hope you find some suitable ones.